My husband Ron and I moved from Bristol in the UK to France over 10 years ago and bought a farmhouse in the Charente. We still live in the Charente and have been enjoying life in France. We originally moved here for the quality of life; there is hardly any crime, less traffic, better weather and the local people are very friendly, too. However, with the exchange rate being really bad, our lifestyle has been affected by the weak pound over the last year or so. We get our pension funds transferred from the UK each month and the amount we receive can differ quite a lot – the exchange rate is very important to us. In the past, I’d say that spending a pound in France would mean paying €1.40; but now I find myself calculating a straight swap, a pound for a euro! We’ve also found that living costs have increased in France, especially for food. The planned tax increase for oil in January will also mean we have to pay more for heating and petrol, which won’t help. We transferred our savings over here recently, as we were getting a terrible interest rate in the UK and found we could get a better one in France. I thought about using a currency exchange company to make the transfer, as my friend recommended this. I sat down in front of the computer and contacted five or six. 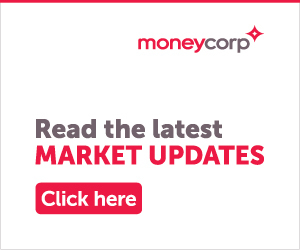 I didn’t get a great response from some, but with Moneycorp I got straight through and the person I spoke to gave me the information I needed straight away. I found that sending my currency to France with Moneycorp was cheaper than using a bank. The transfer fees were much better and their service was very good. The staff were extremely helpful and friendly. Because of the market, we can’t get the rate we want at the moment but Moneycorp does help to ease the impact of the weaker pound and rising living costs in France. I’d recommend Moneycorp to anyone looking to transfer currency abroad. Fortunately, we haven’t had to make any cutbacks but we are dipping into our personal savings to fund our lifestyle. We do know several people who have been forced to move back to the UK. People who are relying solely on pensions just can’t afford to continue living the same lifestyle here. You have to either make cutbacks or find another source of income.